sure that aint the coliseum? 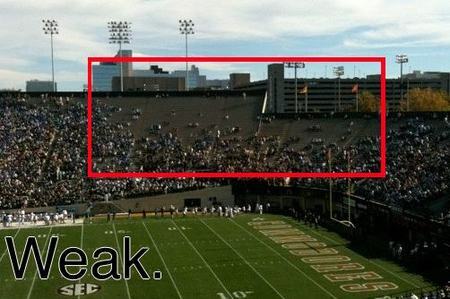 Vandy only seats 40,000.....and there are still empties, lol. UK Hoops makes up for their football. Empty stands in Nashville just shows Vandy students are too smart to watch bad football. But if there is NCAA skiing Colorado is the place to be. And Da Utes bring the sister-wives. I've seen more empties than that at one tailgate at LSU. I just want to know who the chic holding the dolphin is and where in the hell did @tirk find her? Oregon was nobody until Uncle Phil stepped in with his hundreds of millions. 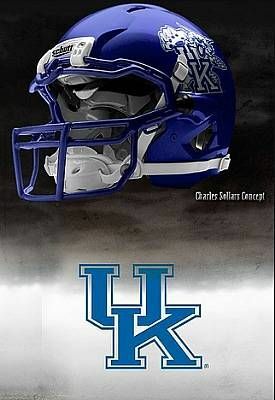 They also wisely followed the SEC model of not overstacking their non-conference schedule with tough games, they try to have a bye week before conference play starts, and they are getting looks and commits from great skill players. They still lose to furd (we all do) when it comes to recruiting the trenches. The truth is Oregon was on the rise beginning with the hiring of Rich Brooks in 1977,.. after 5 rocky years the team got steadily better after that, going to the Independence Bowl in 1989, the Ducks first bowl game in 25 years. Oregon won the PAC 10 title in 1994 going to the Rose Bowl for the first time since 1958,.. losing the Cotton Bowl in 1996 that game is what inspired Phil Knight to become involved with financially supporting Oregon athletics, meeting with Coach Bellotti he famously asked, "What will it take to reach the next level". Uncle Phil has been great, but it was not all him. For sure not all him but the difference pre and post Phil's $$ was clearly measurable. Come on....tell the truth....DAT got major bank. My point is, Oregon football had been on the rise for 19 years before Phil started pouring in the money. By the way, Knight went to graduate school at Stanford, and donated $100 million to furd,.. he's also given upwards of $40 million to Oregon State. About DAT,.. no, no, no,.. Oregon wouldn't do that,.. would USC? Oregon's $94 million football complex,.. the finest in the world, including the NFL,..